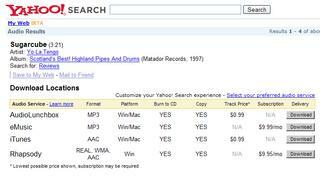 I guess we should’ve seen this coming from a mile away: Audio search engines. Just recently, Yahoo! launched a beta version of its Audio Search, which allows you to search for music, podcasts, sound effects, interviews, e-Books and speeches. After it returns an index of services that sell the file you’ve searched for, you click “download” and are immediately directed to the web page from which you can download the track. The index tells you what formats, platforms and prices go with each service, as well as whether you can copy or burn a file from each service. 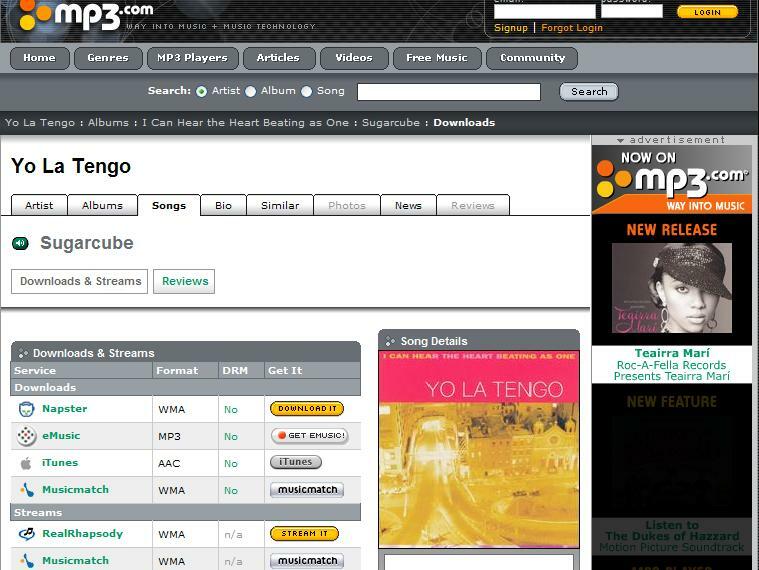 Mp3.com offers a similar service that directs you to downloads and streams and tells you what format each service uses and whether the service uses digital rights management (DRM). 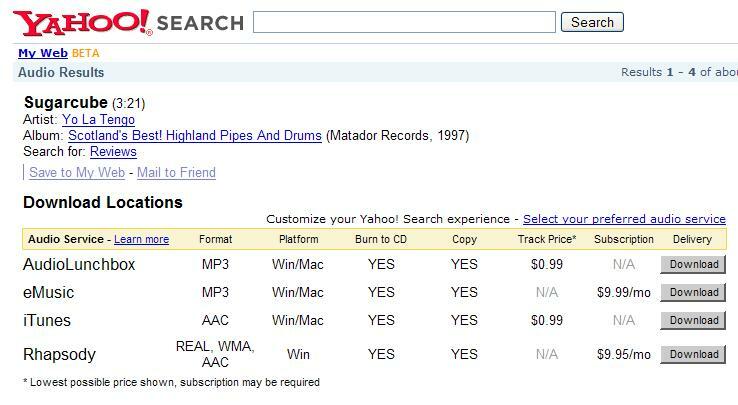 Conspicuously absent is Google, whose labs page only lists a video search as the nearest competitor to Mp3.com’s and Yahoo!’s offerings. You’ve gotta think that an audio search is certainly under development in Mountain View, particularly given Google’s products for mobile devices. Froogle is the classic example of Google using its technology to disintermediate markets for physical goods. It’s also the model for what Yahoo! 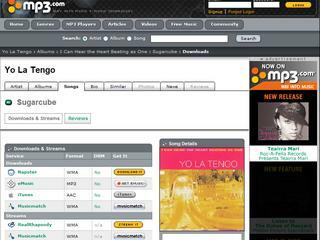 and Mp3.com are doing for content markets such as iTunes, Audible, the New York Times, Audible, etc.